Navid started a running club in our Dubai office, “team naseba” and more than 25 employees in Dubai have joined this club and are training together. 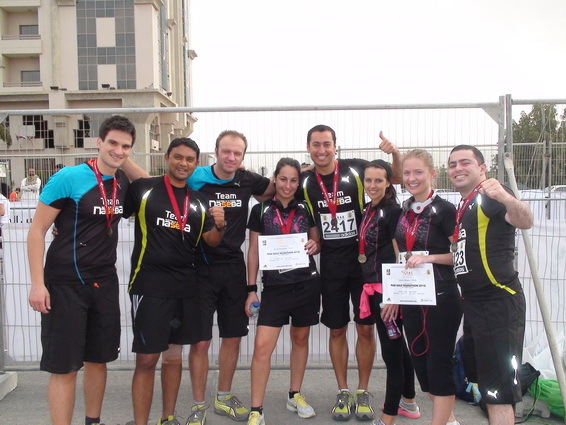 Last Friday, “team naseba” had 8 members run the RAK ½ marathon. For the past many days, the news sites I read in the American press have been clogged with stories about Whitney Houston. Although I find this woman’s death unfortunate, the truth is that her actions led to her downfall. Adam Fletcher is the Generral Manager of naseba’s Kuala Lumpur office. My 94 year old Grandfather, Selser Pickett is a man with an ideal, maybe perfect character. A real southern gentleman – from Baton Rouge, Louisiana. This past Thursday, Sophie and I had a meeting in Vienna, Austria, and we organized to stay for a long weekend to experience the city.